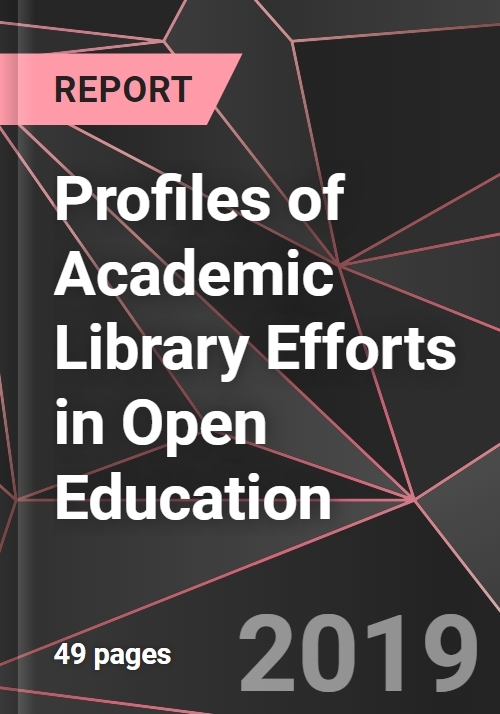 The study profiles the efforts of seven academic libraries to foster the use of and/or development of open access education materials, particularly textbooks, but also supplemental materials, tests and quizzes, and other course materials. The following organizations are profiled: University of North Carolina, Charlotte; Southern Utah University, the University of Louisiana at Lafayette, Macalester College, Emry & Henry College, Clemson University and Virginia Tech. Among the many issues discussed are: outreach to faculty, programs to award grants to faculty for open access educational materials development, cooperation with other university departments such as Teaching and Learning, cooperation with academic faculties and university administration, the role of outside bodies and trade and professional associations, key workshops and conferences, rights and permissions, collection evaluation acquisitions for the purposes of open education development, complementary open access and commercial licensing strategies, development of non-print open education materials such as virtual reality, videos and testing systems, financing, funding and assessment and much more of interest to academic libraries developing their role in open education. Clemson University and Virginia Tech.